Enjoy spectacular magic and flavorful comedy at Murray the Magician, showing at Tropicana Hotel and Casino in Las Vegas. You'll be entertained with Murray’s signature comedic style, made famous across the country on 'America's Got Talent' and the History Channel's 'Pawn Stars.' This is a family-friendly show with laughs and tricks for audiences of all ages. 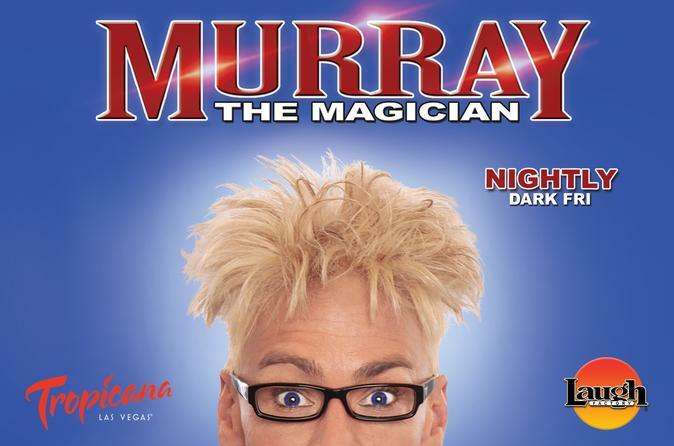 Enter the Laugh Factory at Tropicana Hotel and Casino for your showing of Murray the Magician. Take your seat and get ready to experience an intimate magic show the whole family can enjoy. You may know Murray from his showstopping performance as a finalist on America's Got Talent, which wowed 22 million people across the US. Or maybe you've caught him during other television appearances like Pawn Stars or at his award-winning performance at the Los Angeles Comedy Festival. His comedic delivery will leave you in stitches as you sit amazed by his optical illusions, similar to the ones he's done on the TV series Extreme Escapes. After the show, be sure to stick around — Murray and his cast come out for a meet-and-greet with all audience members.